Registration for this event is closed. Building security requires names in advance so Walk-Ins cannot be accomodated. Technology is knocking down barriers to entry and to the affordable scaling of business, putting sophisticated tools in the hands of advisors and clients alike. It has further blurred the lines between who provides asset management, allocation strategy, and financial planning services, as well as between live, human- and Artificial Intelligence-driven advice. Meanwhile the relentless march of passive investing strategies, generally rising and highly correlated markets, and low yields have put continued pressure on active managers and fees most of all. At the same time, generational turnover in clients, their assets and advisors, and their investing habits is challenging firms—offering wide-open opportunity but also big risk as RIAs strive to retain and add business. Who is succeeding in this environment? Who is acquiring firms and who is being acquired? What are the acquirers valuing in firms they purchase? Is there space for middle size or niche players to survive or is consolidation inevitable? Elizabeth Nesvold will address such questions and look at how these trends are reshaping the industry and impacting firms' growth prospects, profitability, and valuations. From her perch as Managing Partner of Silver Lane (www.silverlane.com), a New York-based investment bank, Liz will share her unique and highly qualified perspective as a 25 plus-year veteran advisor to the wealth management industry. Silver Lane is consistently among the most active M&A advisors in the industry. Liz, herself, has advised on 170 completed merger, acquisition, valuation and strategic advisory assignments for a variety of clients including trust companies, multi-family offices, asset managers, investment counselors, financial planners and investment consultants. Past clients include First Republic Bank, Constellation Wealth, Prudential, Evercore, and Old Mutual, among others. Liz is also a frequent speaker at industry conferences and seminars, and an industry-topic author. Liz earned a B.A. from Binghamton University and an MBA from Fordham University Gabelli School of Business. 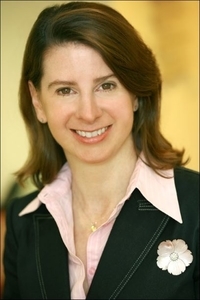 She is also a member of the Young Presidents’ Organization, the Edward L. Rose Conservancy, and 100 Women in Finance. Please note, attendees are asked to bring their own lunches. There is no charge for Members for this event, however registration is required since space is limited. Registration is required since space is limited. CE CreditCFA Boston has determined that this event qualifies for 1 CE credit hour under the guidelines of CFA Institute's Continuing Education Program. If you are a CFA Institute member, CE credit for your participation in this event will be automatically recorded in your CE tracking tool.